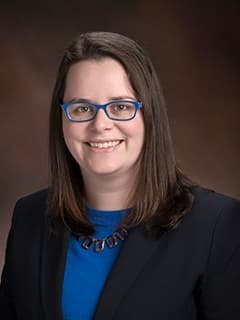 Abby Demianczyk, PhD, is a psychologist in the Cardiac Center and the Department of Child and Adolescent Psychiatry and Behavioral Sciences at Children's Hospital of Philadelphia. Demianczyk, A. C., Jenkins, A. L., Henson, J. M., & Conner, B. T. (2014). Psychometric evaluation of BIS/BAS in a diverse sample of undergraduates. Journal of Personality Assessment, 96(5), 485-494. Hampton, A. S., Seelbach, A. C., Morrison, A. S., Conner, B. T., Urada, D., & Longshore, D. (2010). The role of motivation in drug treatment completion. In Criminal Justice Treatment Study (pp. 53-63). Los Angeles, CA, US: UCLA. Demianczyk, A. C., Noeder, M., Ryan, J., Sood, E. (2016, August) Psychosocial Risk Factors Associated with Delayed Cardiac Care for Children with Congenital Heart Disease. Poster submitted to the 2016 Convention of the American Psychological Association. Demianczyk, A. C., Gadow, K. D., & Drabick, D.A. (2014, April). Impact of Perinatal HIV infection and Family Environment on Impairment among Youth. Poster presented at the annual conference of the Society of Pediatric Psychology, San Diego, California. Demianczyk, A. C., & Drabick, D.A. (2014, November). Psychological Outcomes Associated with the Experience of Microaggressions. Poster presented at the 48th Annual Convention of the Association of Behavioral and Cognitive Therapies, Philadelphia, Pennsylvania.